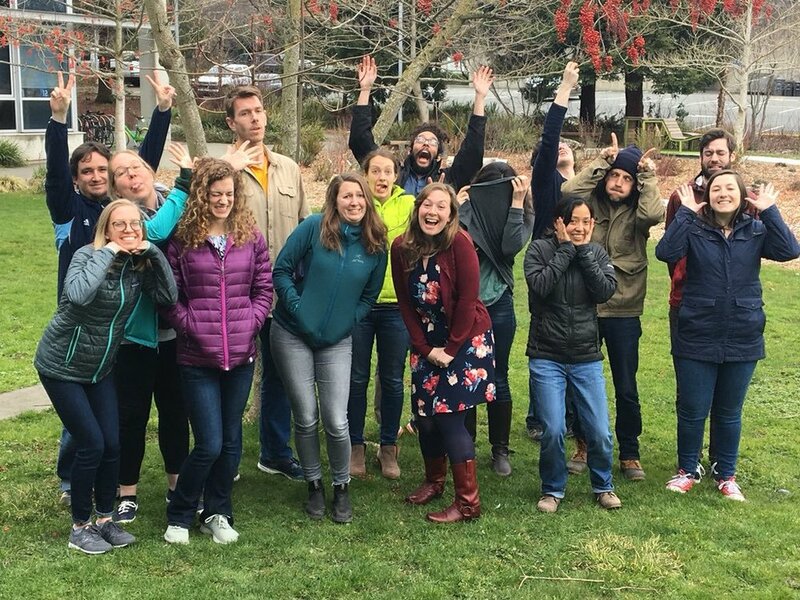 training today’s graduate students in cutting-edge communication skills in order to reconnect the public with science and bring about a more informed tomorrow! Taryn Black is a geoscientist studying glacier changes in Greenland. She uses satellite images to monitor seasonal and yearly variations in glacier size and to determine how they are responding to climate change. Could furry friends be a salve to graduate student mental health? Virginia Littell is a second year Masters student in the Earth and Space Sciences Department at the University of Washington. She is a geologist who studies the ancient climate of Southern Asia by analyzing the chemical signatures of soils and fossils. Samantha Phan is a Chemistry graduate student at the University of Washington. Her research focuses on developing efficient and environmentally friendly chemical techniques for semiconducting materials used in organic carbon-based electronic devices, such as OLEDs, solar cells, and wearable electronics. The purpose of her project is to reduce the materials’ economic costs and chemical complexity, making them more suitable for large-scale commercial production and lower the cost of future electronic devices. Mengying is a graduate student at UW studying molecular engineering. She studies fluorescent nanoparticles called quantum dots and their behaviors in the developing brain. Her work also focuses on using the knowledge gained above to better design imaging and tracking system of viruses or other biological entity in the brain.